The FMS Research Center together with the Institute for Complex Molecular Systems (ICMS) organizes this 2nd topical seminar to discuss the synthesis, properties and applications of supramolecular hydrogels. Towards this end researchers working with this type of hydrogels using different approaches have been invited to present their work to the faculty, postdocs and PhD and master students of the FMS Research Center and ICMS. All lectures include 5 min discussion. PhD students, postdocs, and faculty from the groups members of the FMS Research Center are welcome to attend upon prior registration. 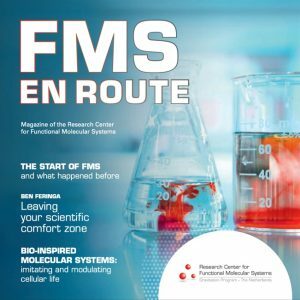 Please register before 1 April 2015 by sending and email to info@fmsresearch.nl (including name, academic position, and university). Registration is accepted on a first-come, first-served basis, subject to availability of seats.